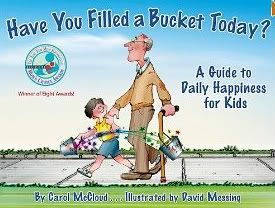 Serendipity from Jewels : Fun with Books: Have You Filled a Bucket Today? then the bucket comes out onto the counter or somewhere centerally located. 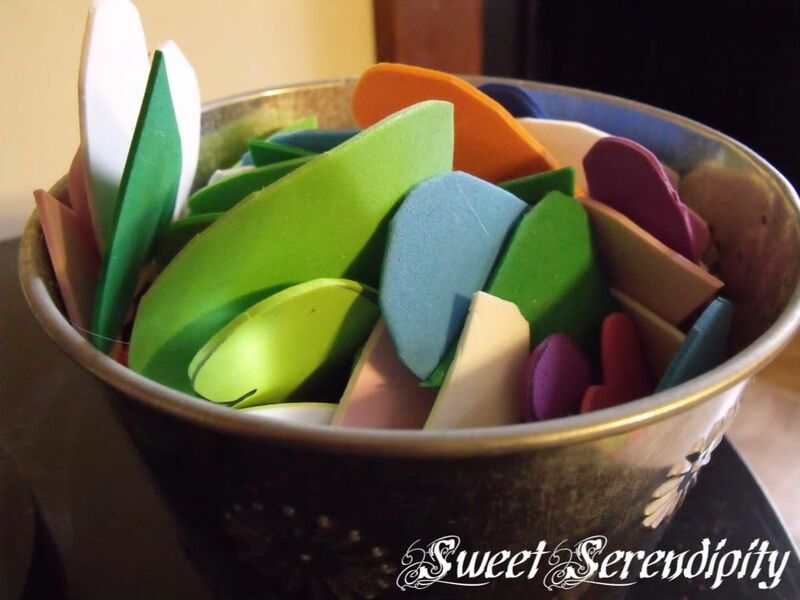 This bucket is full of hearts that we cut out of craft foam. This is our family bucket. When someone in the family dips into someone elses bucket they have to take out 2 hearts and has to do 2 nice things to fill the bucket back up. SO if you come to our home and the bucket is out you know what is going on around here!! !